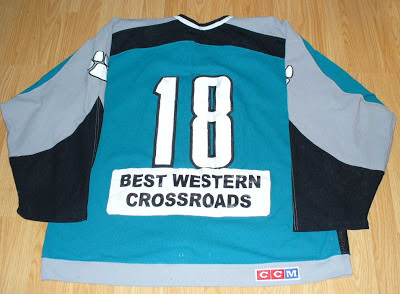 Here's one of the few jerseys I have that would be considered 'game worn'. 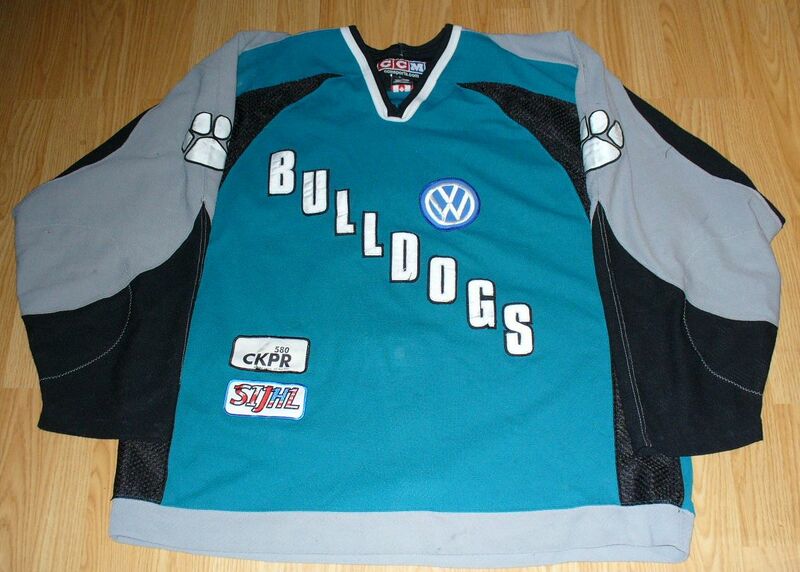 It is from a defunct team called the Thunder Bay Bulldogs (who played in the SIJHL). SIJHL is a Junior A hockey league that has teams in my region. Years ago saw one game of the Bulldogs playing the Fort William North Stars at Fort William Gardens. Got the ticket as a bonus from my Beer League when we required to pay extra for insurance. Bulldogs were soundly defeated that game. The North Stars had over 3 lines with coaches, trainers, etc. on their bench. Bulldogs had about 2 lines. 580 CKPR was a local AM radio station; they are now 91.5 on FM. 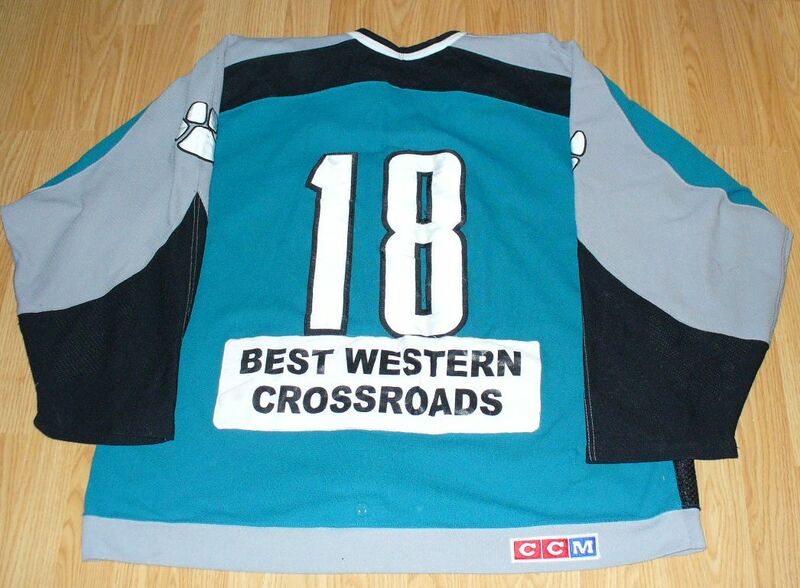 Best Western Crossroads is the Best Western on Arthur Street.